If you love spending time outdoors and are looking for a canine companion that shares your passions, then the wirehaired vizsla could be your doggy soul mate. With their distinguished whiskers and amber eyes, this dog breed combines rustic charm with athletic grace in an irresistible, mustached package. The wirehaired vizsla is a medium-sized sporting dog with a distinctive, short, wirehaired coat. They are similar in build and appearance to traditional vizslas, but unlike their short-haired cousins, their wiry coats protect them from the elements and help them blend in with brush and grass while hunting. These athletic dogs were developed in the 1930s by Hungarian hunters and falconers who wanted a hunting dog with weather-resistant fur. The result is a versatile hunting dog suited for all kinds of terrain. 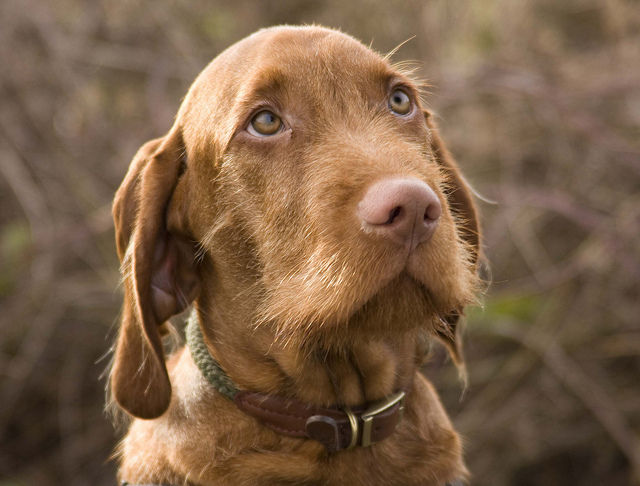 Wirehaired vizslas point and retrieve on land and in water, and their keen noses can track feather and fur for sporting owners — or find out where you’re keeping the biscuits. Underneath the scruffy beard and inquisitive eyebrows of the wirehaired vizsla is a gentle, loyal and trainable dog. Like any working-breed dog with moderate exercise requirements, wirehaired vizslas require plenty of exercise to keep them mentally stimulated. If these needs are met, then these dogs are happy to relax around the house for the rest of the day. Their calm, indoor personalities and exuberant love of the outdoors make them an excellent hunting and sporting dog, as well as a lifelong hiking companion. Wirehaired vizslas are pretty low-maintenance in the grooming department. Their wiry fur only requires an occasional brushing and stripping to keep it looking healthy, and your wirehaired vizsla might benefit from a periodic bath if they spend a lot of time romping through the woods. They are a generally healthy dog breed, and with proper nutrition, regular visits to the vet and a little TLC, your wirehaired vizsla should enjoy a long and healthy life. These dogs typically live 14 to 15 years, giving you plenty of time to enjoy their gentle and affectionate natures. 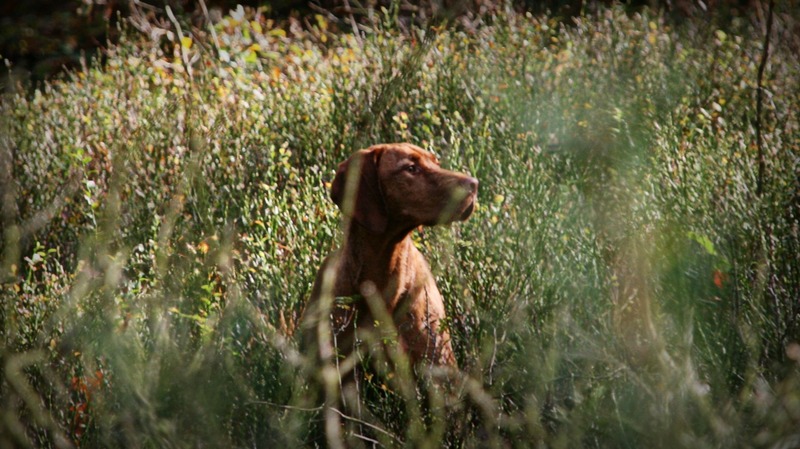 Is the wirehaired vizsla the dog for you? The wirehaired vizsla is the perfect dog for active families who love to be outside. They are gentle with children and love playing outside in their element. Their medium build makes them relatively easy to transport to the nearest park, and they thrive in rural settings. If you want a loyal companion to keep you company on life’s adventures, then the wirehaired vizsla could be the dog for you.